Kayak Names Montreal One of the Best Destinations to Celebrate the New Year! We are thrilled to share this wonderful news with our EC Montreal students! Montreal has been named by Kayak, one of the best destinations to celebrate the New Year! At EC Montreal we are always concerned about making our students feel great about their decision in choosing Montreal as a destination. We explain to them that what happens outside the classroom is just as important as what happens inside. We want to give them a taste of Montreal and show them all the wonderful things they can experience during their stay. We have many EC Montreal students that will be spending the holiday season with us in Montreal. We will be introducing our students to the many Christmas markets and festivities taking place all over the city. In addition, students will be ringing in the New Year in Montreal! Some want to travel to New York City to be part of the iconic Times Square New Year’s Eve, however, according to Kayak, Montreal has been ranked the 9th best destination in the world to celebrate the New Year! Montreal is the perfect place to spend the countdown to 2018. New Year’s Eve plans this year include a massive outdoor party with, DJs, live entertainment, food and drinks. 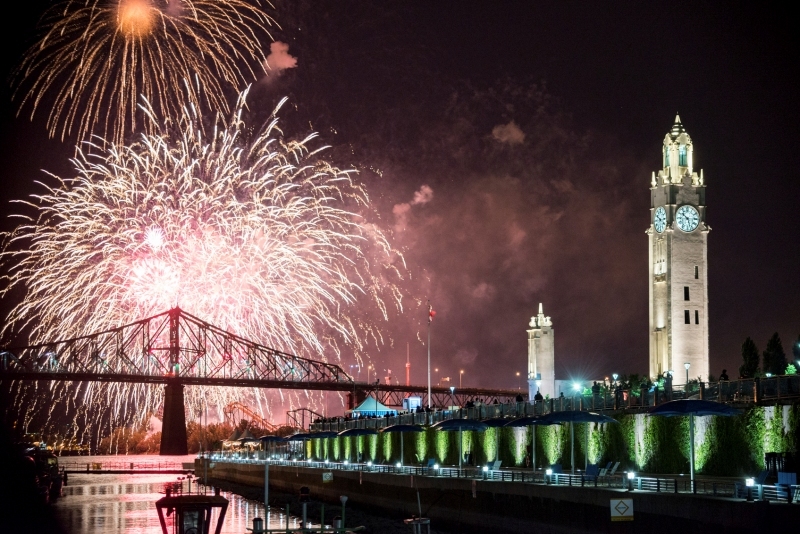 The Jacques Cartier Bridge will also light up to the music of a live soundtrack and when the clock strikes midnight, an amazing fireworks show will begin. It’s going to be a spectacle that you don’t want to miss! Learn English and French in Montreal!